As we approach February, I’m already looking forward to March. As those around me know, my least favorite month is February. It is usually cold, gloomy, windy, and lacking in any color. These past few weeks I’ve gone out to shoot around Lady Bird Lake, but the lack of green on many of the trees leave the images feeling drab and lifeless. Here is an aerial view of downtown shot with my drone. While the Austin skyline looks nice, notice the lack of green along the banks. 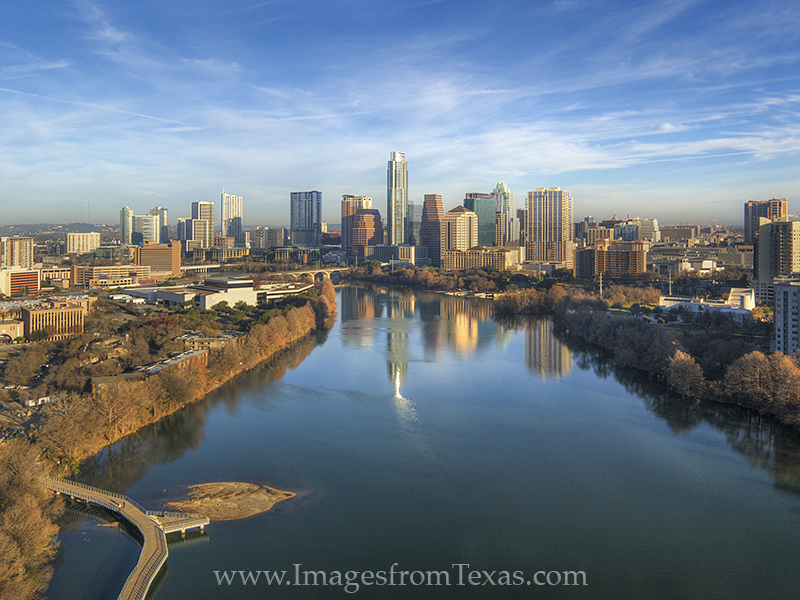 From high above Lady Bird Lake, this is a bird’s eye view of the Austin, Texas, and the downtown skyilne. Below is Lady Bird Lake and also a portion of the Zilker Park Hike and Bike Trail. This aerial image was taken on a beautiful morning in central Texas. 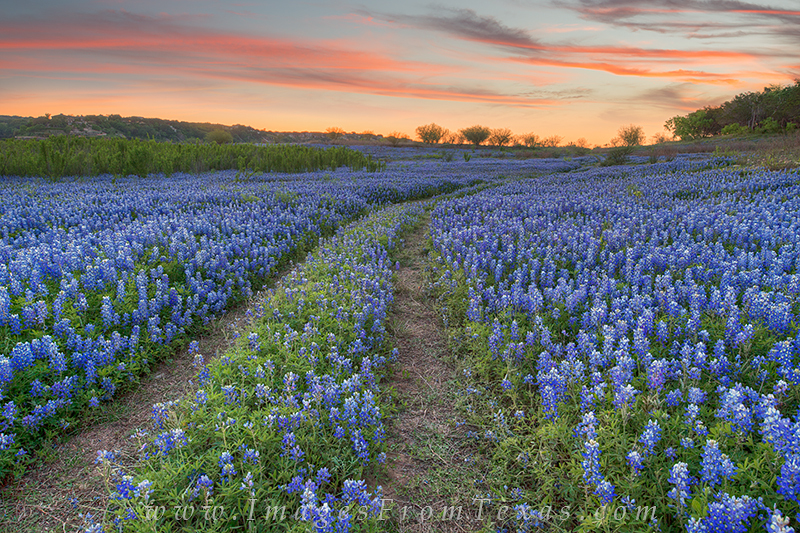 And I haven’t much bothered with shooting out in the Hill Country, though that time is coming soon with the advent of spring in just about 6 weeks or so. 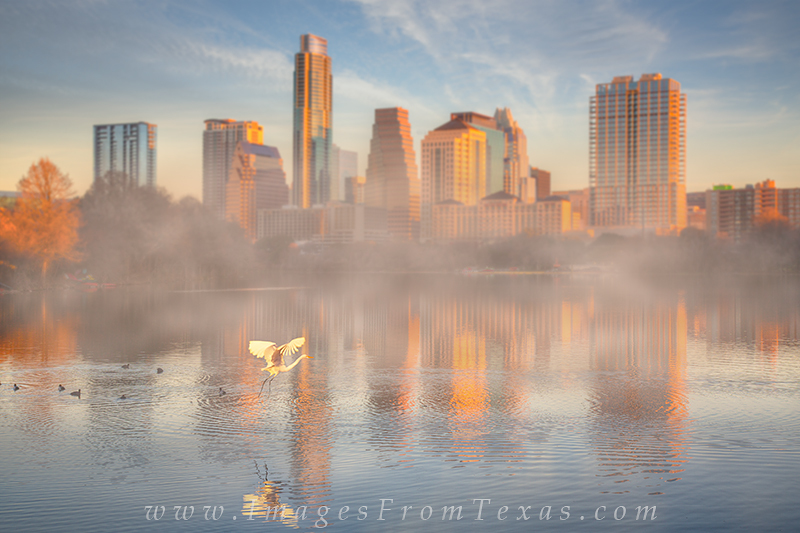 On a frigid January morning, steam rises off of Lady Bird Lake as the first light of day begins to show over the downtown Austin skyline. 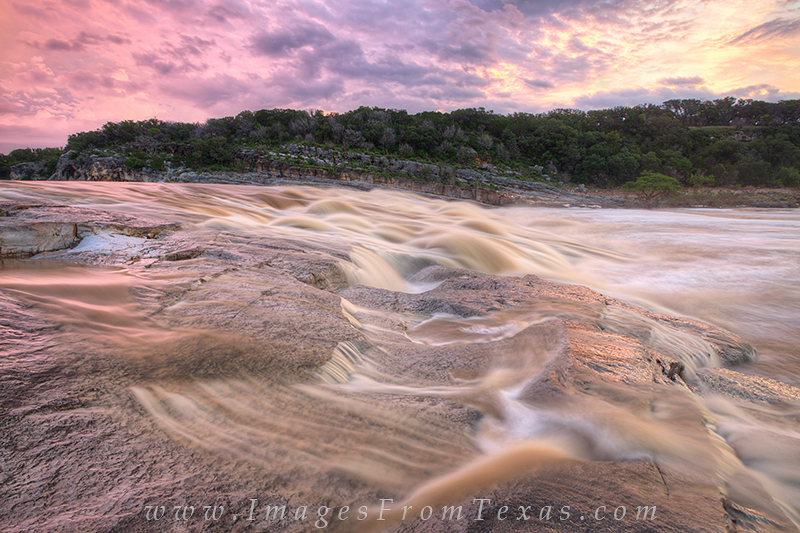 I shot from this same location for over an hour one morning. 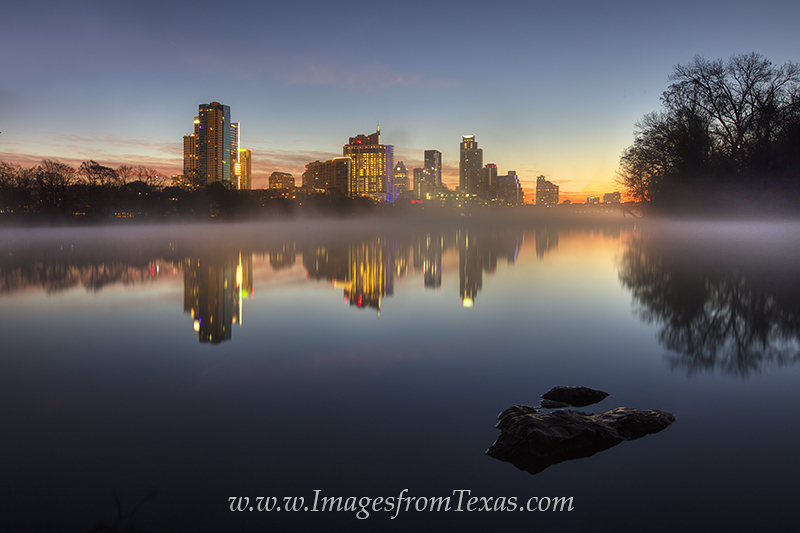 The change in lighting was dramatic – from 45 minutes before sunrise when Austin glowed beneath the fading darkness to a few minutes after sunrise when light streamed through the mist. Other than that, I’m just biding time until spring begins to show up again. 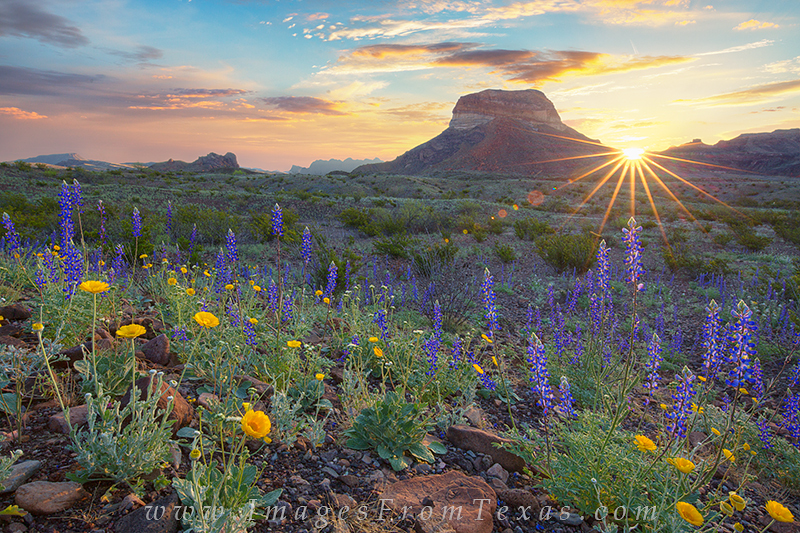 With trips planned to photograph bluebonnets in Big Bend in March, and all sorts of wildflowers across central throughout the Spring, I should probably just enjoy the down time for a while! 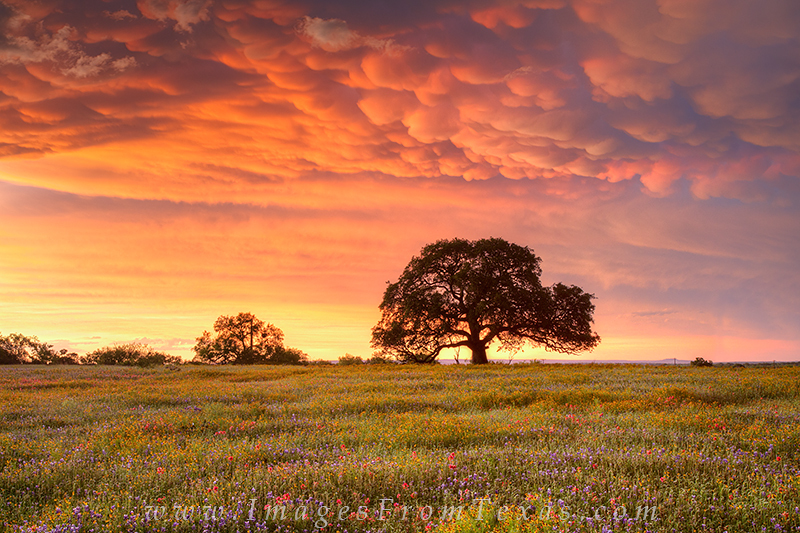 In other news, I’m pleased to say one of my Texas wildflower images will be in a new Austin hotel opening in the fall of 2016. This field of flowers will be 116 feet long and accentuated with textured glass. I look forward to seeing the final product. I hope everyone fares well in the dog days of February. We should have a very colorful spring as long as El Nino doesn’t turn off the water faucet. If so, I’ll be posting wildflower updates on my facebook page as well as on here, so feel free to follow along. Posted in Austin Skyline and tagged aerial views of Austin, austin skyline, austin texas, lady bird lake, Texas wildflowers, zilker park on January 26, 2016 by Rob Greebon.